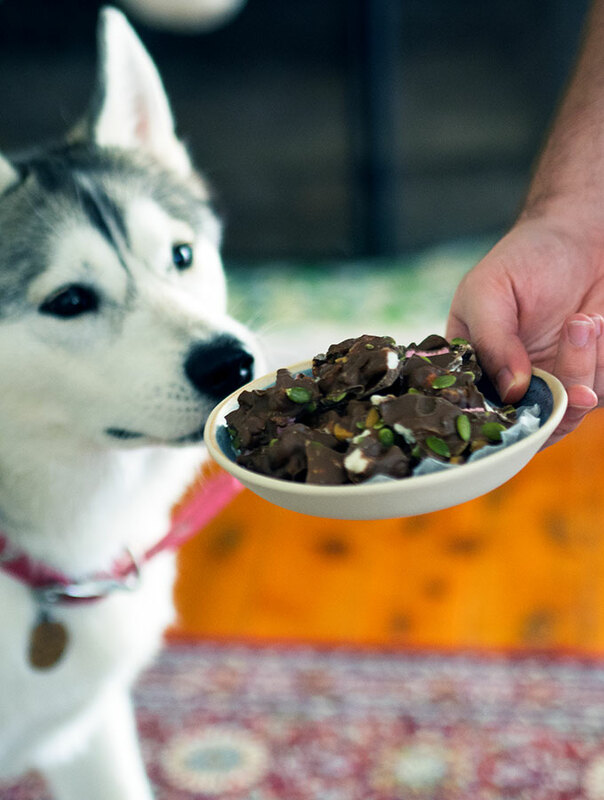 Carob Rocky Road is the perfect dog treat for your four legged bestie. While dogs can’t eat chocolate they can eat carob! Harley turned one earlier this month, I can’t believe how quickly we lost our cute and cuddly husky pup. This was replaced by a whole lot of pretty in a whole lot of crazy. We must have pre-empted this when we called her Harley. No, she isn’t named after a well known motorcycle. Harley is named after the DC Comics Suicide Squad Character, Harley Quinn. If you watch this clip, just replace Margot Robbie with a husky in your mind, and that’s our girl. She always wants to play and sleeps when she wants and with whom she wants. I made this Carob Rocky Road for Harley for her birthday (and Christmas present, don’t tell her it’s a surprise), and she loves it. 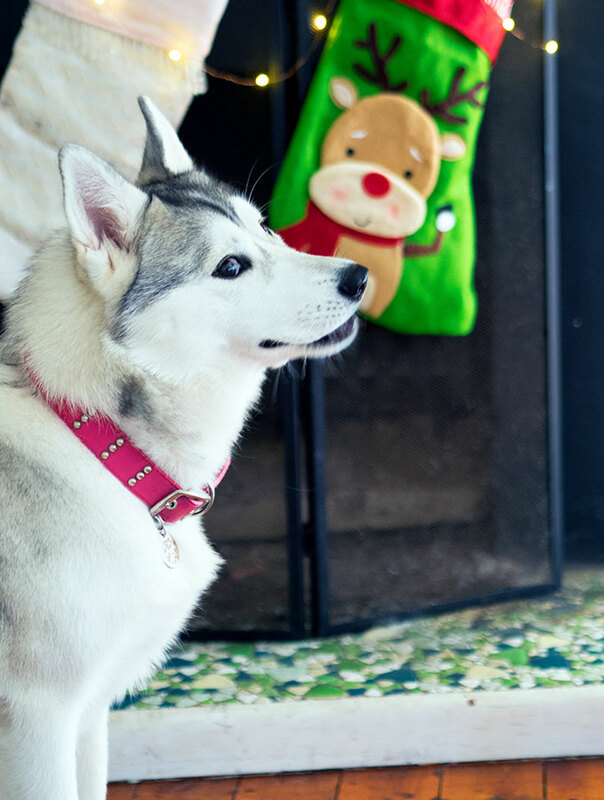 It is a treat that should be served to your pooch sparingly as there is quite a bit of sugar in it. Carob buttons themselves aren’t that sweet, but I have also added marshmallow and peanut butter chips. There are some pumpkin seeds thrown in for the health factor, but who am I kidding. You could replace the peanut butter chips in the Carob Rocky Road with yoghurt drops, or anything else that isn’t chocolate. Carob buttons can be found at your local health food shop. Therefore this must be healthy, right?? I used normal size marshmallows and cut them up into small pieces. You could use mini marshmallows. When it comes right down to it, you can use anything your dog loves. Replace the pumpkin seeds with peanuts, or even add in some dried banana. 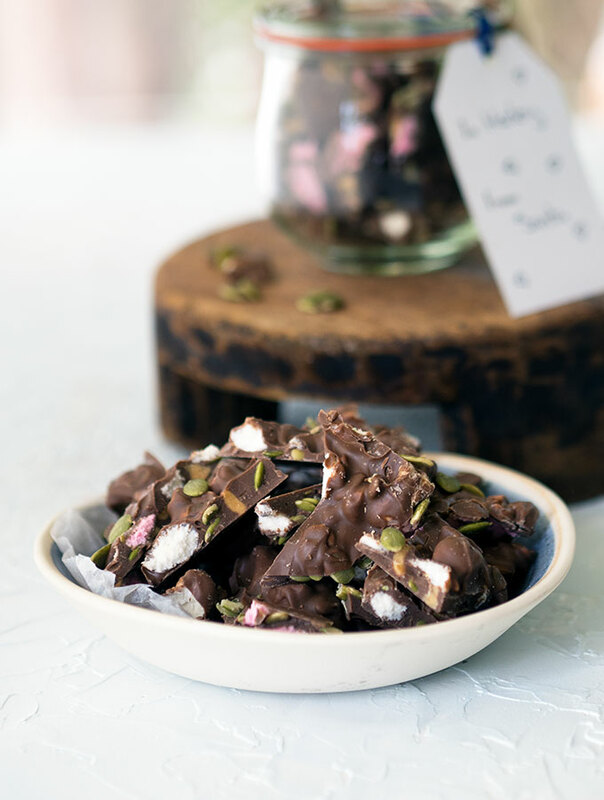 The best thing about this Carob Rocky Road, is that it tastes great! Which means you can also eat it along with your pooch. Or make it for a friend that is allergic to chocolate. If they have a dog, then that’s a bonus! Unlike traditional rocky road, I spread this thin in the tin. 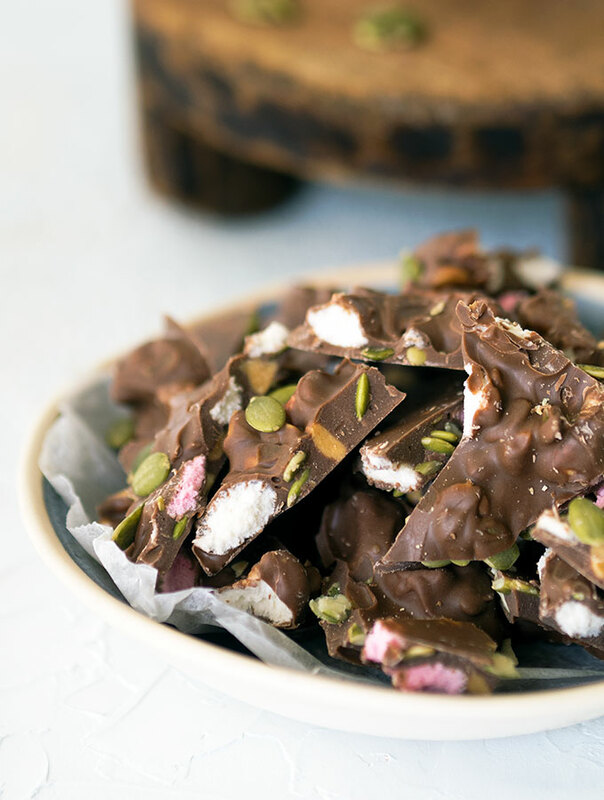 You could say it is a Carob Rocky Road Bark (all puns intended). 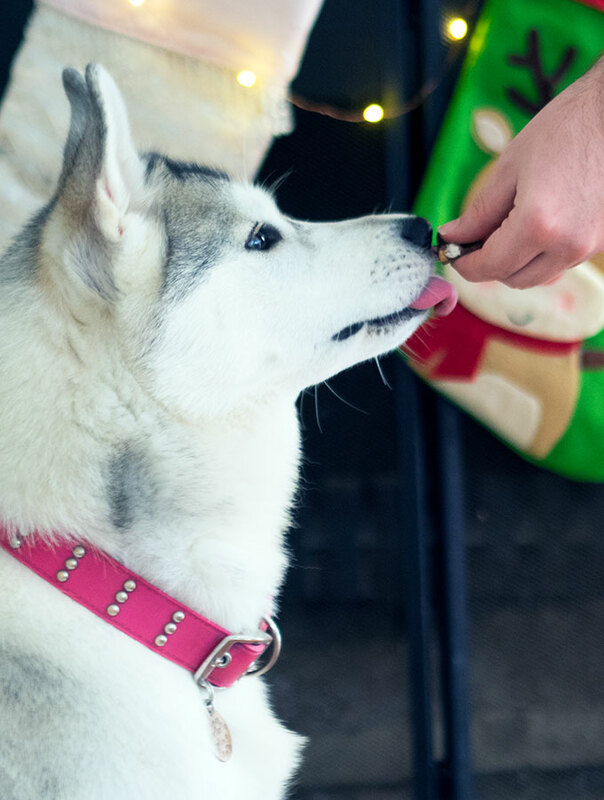 Spreading it in a thin layer ensures it is easier to cut into dog friendly size bites for the treat tin. 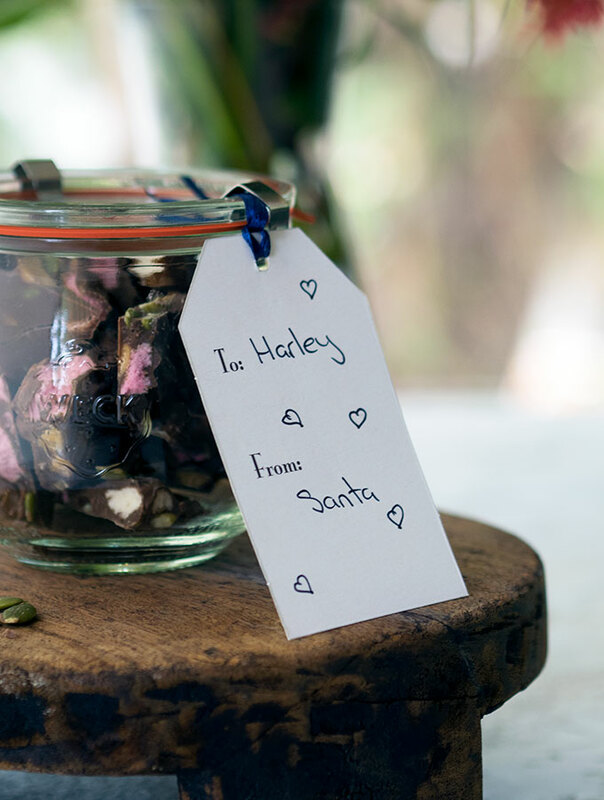 Carob Rocky Road would make a great Christmas present for your favourite doggo. It has the Harley seal of approval after all. You can enjoy this treat as much as your doggo. Line a shallow tin with baking paper. Place carob in a microwave safe bowl and melt as you would chocolate. Carob does melt quicker than chocolate, it will take around 30 seconds. Mix marshmallows, pumpkin seeds and peanut butter chips in to the melted carob. Spread carob mixture in to prepared tin. Sprinkle with a few extra pumpkin seeds and then place in the fridge to set. Once set cut or break into dog friendly bite size pieces. Store in the fridge.